The Crayon Lab is probably the third or fourth blog I have started over the years. It is hands down the one that sees the most traffic and is therefore most successful ?????? What makes a blog successful? I am honestly not sure. I know my audience for this blog is other art teachers. I can tell from looking at my statistics that over 5,000 people come to my blog each month. FIVE THOUSAND! That seems like a lot to me since I am just over here chugging along doing what I do. Hi! I guess I'm leaving your first 'gift'. P.S. MaryLou was bragging on both yours and Hope's blog. She shared your links with me. Hope, your blog is awesome as well. 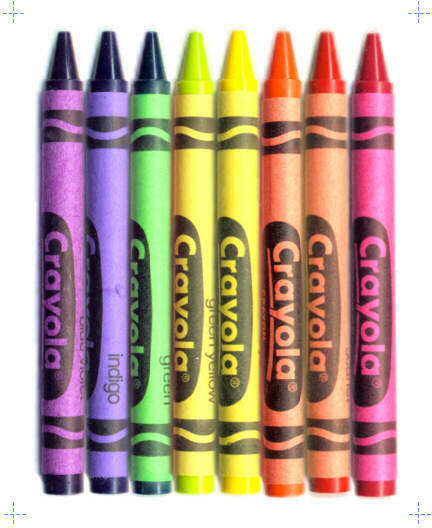 I am not a regular reader, but I found your blog while looking for a photo of crayons (not having any on hand) to draw for the iPad game "Draw Something"... That is to say, the word I had to draw was "crayon", and I like to draw from real images. 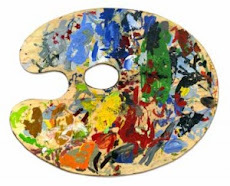 Anyway, it looks like you have a very creative blog with lots of fun ideas for art classes. I'm sure lots of other art teachers are finding inspiration here for their own classes. Good job! Hi! My name is Allison. I've heard about all the wonder of "the Crayon Lab" so I thought I must check it out. I teach at State Bridge Crossing and my blog is mrseldersart.com. I think you are wonderful! I have only just come upon this post. It was a year and a half ago you wrote it. I get about the same amount of page views as you. It is mostly art teachers. I am in New Zealand and it surprises me that so many of my viewers are from The States. But then we don't have art specialists as a rule, in our primary schools. Our school is one of a few who see it as important and has made it happen. I hang out for comments but don't get many. I have read this from other bloggers too. I love blogging as a reflection of the art I do in the classroom, and as a reference to what is successful. You have a great blog, keep going if you can the motivation. Thank you Gretchen. It's hard. If you look you will see that I have not been as successful here as I wanted to be this year. I will keep trying! Please leave your blog link so I can come visit!